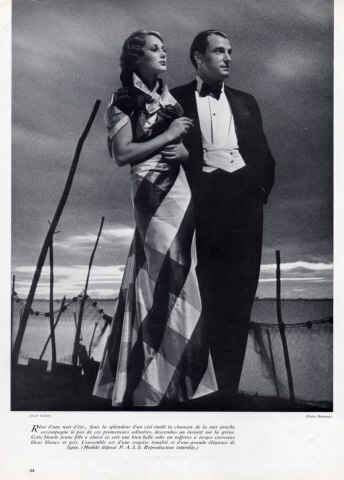 Jean Patou died the year Vacances was launched (1936). The perfume was created to celebrate and commemorate the introduction of mandatory paid vacation in France (can you imagine the French without their month-long vacance? asked this American, green with envy). After all, Jean Patou has always been about leisure and luxury. One needs to remind herself that this beauty was born just as France and the rest of Europe was about to free-fall into the darkest abyss. How was that even possible? Vacances is nothing if not gorgeous and perfect. It's early summer barely bottled, as the delicate blossoms simply cannot be contained. They jump at you, weave themselves around your arms and neck, nuzzle and caress. Pale green and lilac- the color and the flower fill the air and make you feel s though you stepped into a vintage 1930s postcard and all of a sudden you're dressed appropriately. The mimosa, lilac and hyacinth are easy to identify here, and I'm pretty sure I smell quite a bit of non-marzipan heliotrope. It's exquisitely feminine and elegant without becoming precious. In fact, all of a sudden I'm pretty sure that the genius Joel Arthur Rosenthal was inspired by Patou's Vacances in creating his Jarling (would someone familiar of both chime in? I don't have a sample of Jarling so can't do a wrist-by-wrist comparison). Like most (all?) lilac perfumes, Vacances is touched by melancholia. It's probably the incredibly fleeting nature of the actual bloom and the romantic, water-color like quality of their color. Still, for such a delicate creature, Vacances has a full body and quite a bit of life within its notes. Jean Patou and his perfumer Henri Almeras created a much more intense experience in Vacances, even in the EDT concentration than I ever get from Frederic Malle & Olivia Giacobetti's En Passant (which I can't wear. The watery notes kill it for me every time). Instead of focusing on the approaching demise of the flower (and on the world as Patou knew it), they've given us the joy of a perfect summer day.Surprisingly, Vacances is quite long-lasting. I'm not going to press about the exact origin of the musky dry-down. It's too enjoyable as it is. 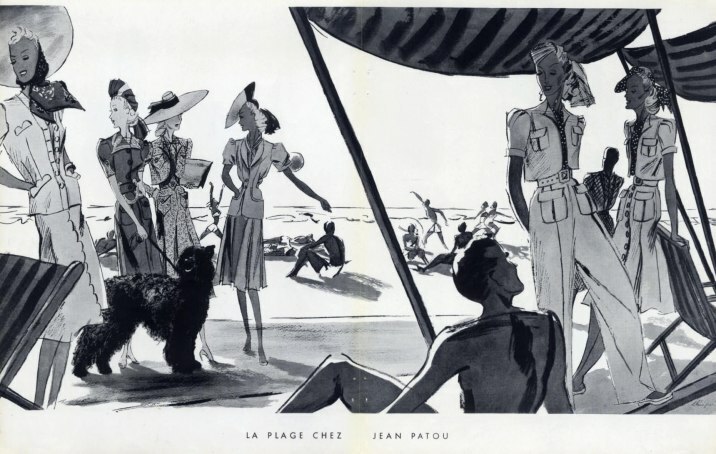 Vacances, just like the rest of Jean Patou's Ma Collection was discontinued years ago. My EDT came from several sources- the reissued boxed set from the 80s and a couple of older bottles, all smelling more or less the same. Check out this two other reviews of Vacances on Perfume Smellin' Thing: Marina's and Donna's. One of my favourites! Sooo pretty, such a loss that it's no longer available. I adore this fragrance and am privileged to have a bottle (80s reissue). It is joyful and also elegant, a wonderful expression of summer.